Inside Tasmania: Tianjin blast death toll 104 as president wants workplace safety changes. Duh! 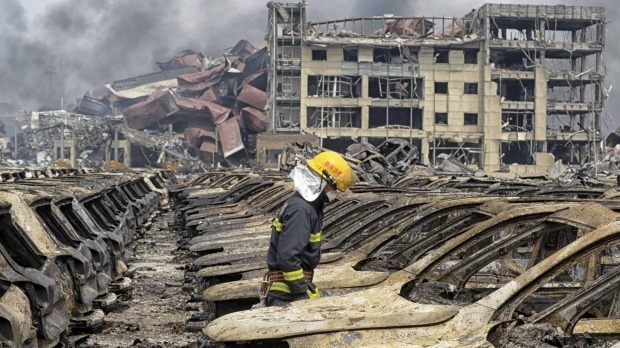 Tianjin blast death toll 104 as president wants workplace safety changes. Duh! Tianjin, China: The death toll from two massive explosions that tore through an industrial area in the northeastern Chinese port of Tianjin has risen to 104, state media said on Saturday, as China's president urged improvements in workplace safety. Chinese President Xi Jinping said authorities should learn the lessons paid for with blood in Wednesday's warehouse blasts, according to the official Xinhua news agency. The number of people killed had previously been put at 85. For the families of missing fire fighters it was a day of more heartache as they sought answers about their loved ones and officials tried to keep media cameras away. In one piece of encouraging news, a 50-year-old man was rescued 50 metres away from the blast zone, Xinhua said. The man was suffering from a burnt respiratory tract but was in a stable condition after surviving three days in a shipping container, the official China Central Television (CCTV) said. 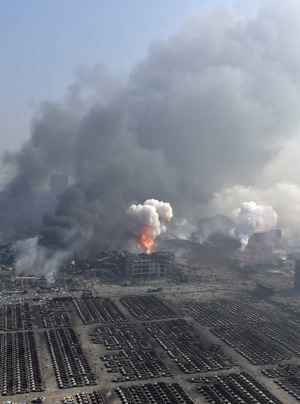 There were about seven small explosions in the area on Saturday, according to a post on the micro-blog of CCTV. A fresh blaze ignited cars in a parking lot next to the blast site. The cause was not immediately clear.